Well being that it’s silk, the Spa Silk Facial Pillowcase doesn’t snag or absorb moisture and oil the way cotton does, leaving hair and skin hydrated. Ever since I’ve bought one, I’ve said bye bye to bedhead and facial sleep lines. 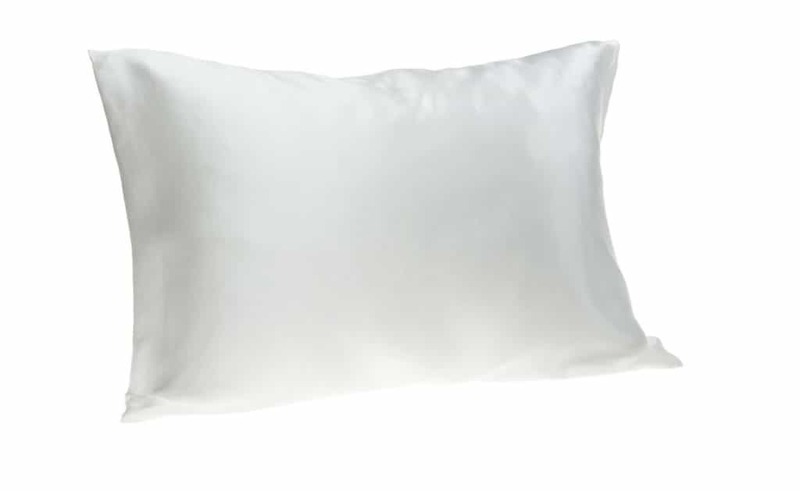 A word of caution for those of you who tend to get very oily at night or are sensitive to breaking out: some find that since silk doesn’t absorb moisture and oil the way cotton does, it causes them to break out and be a little too dewy in the morning. If you’re interested in improving your sleep game while you sleep check out our guide on the anti-aging benefits of a sleep covering everything from anti-aging pillows to sleep aids.